Oh, Audra. We really were separated at birth…I keep trying (even now) to talk Jenny into getting a TK, as well. Nope. Not gonna have it. I know those lessons are good and all, but I’m still not gracious enough to always like learning them. One day, I’ll count it all as joy, James. One day. Great post. Hello twin, it’s so hard to be apart! Seriously though, that is the beauty, one day you and I will count it all joy my friend. How blessed are we? I dare say your hair is pretty darn silky for not having a TK. See how good God is? This writing is first rate. This is you. I can read who you are and your personality in this post even if I didn’t already know you. This is you at your best Audra… The best part of the story is getting to hear someone share from their heart, not their keyboard… Absolutely wonderful. What is link for Floyd’s blog? Now you’ve given me something to think about while I’m creating, am I sharing from my keyboard or from my heart? Thank you so much Floyd. What about you? 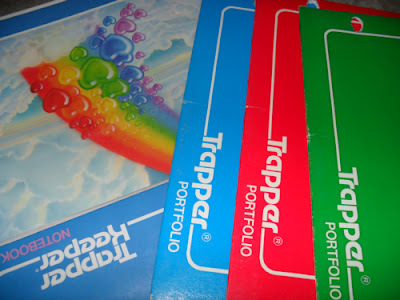 Were you a Trapper Keeper Kid? UHHHH… No. I never heard of them until today… I know they were around, I remember some kids having zipper type folders, but I was thinking short term. Maybe I was wishful thinking. I can’t say I had much in the way of organizational envy! Maybe I should have! You’re doing just great Floyd. Turned into a fine man in spite of not having a TK. I’m still drawn to Trapper Keepers whenever I see them in the store! Never too late T. Never too late. Haha! One more reason to love you! Stumbled across your blog from A Holy Experience…Ha! I finally scored a TK and have held onto it all these years! My kiddos 13 year old twins, a boy and a girl don’t see the value or beauty of a TK…They too could not be bothered with me trying to buy them one…so I even pulled out my old Rainbow TK I had as a kid that I stuffed full of poetry back in my day….showed them how cool they were, They still just don’t get my TK facination!.. Loved Floyd’s comment “This is a great story of how our insecurities rise to the surface and God uses our kids to enlighten us… “….I would agree! I too love when I am screaming like a crazy mom about something to my kiddos and the Lord pings my heart to teach me the same lesson!….Love how our awesome Lord teaches through others and especially my kiddos! Thanks for sharing! Thank you so much for stopping by Michelle. While we are on the topic of Floyd, I highly recommend his blog. He’s a great writer with an every mans (or womans) perspective that I enjoy tremendously. And now on to my dreadful jealousy, did you have the one in the picture? You must have the silkiest hair ever. But seriously, what a gift to find your poetry. A direct portal to your past! Hoping you celebrated the girl of yesterday and that God restored any pain that may have found it’s way into your writing. Blessings! I really should just make my dreams come true. Nice work on the coupon holder! Yep! I have the one in the picture! My hair not so silky anymore! What beautiful words :(Hoping you celebrated the girl of yesterday and that God restored any pain that may have found it’s way into your writing.:). God has restored! Thank you! Will check out Floyds blog! I think you and I were stitched together somewhere along the way – While I’ve never heard of a Trapper Keeper – I too watched from the sidelines as all the other kids had more – More pretty clothes, better shoes, prettier hair and mommys and daddys who stayed together… Yep sisters in Christ… stitched together by Him. Thank you for stopping by sister! Looking back I had a pretty great life, God gave me just what I needed. But I’m sure it’s universal to feel like we don’t get what we want and that other people get it all. Your latest comment on my blog really spoke to my heart. Thank you Audra. Anytime sweet lady! I’m loving Safeway right now, they have the JustforU program. I pull the coupons down from my computer every week. No more clipping, remembering, expiring, etc. BUT, that means no need for a TK either!